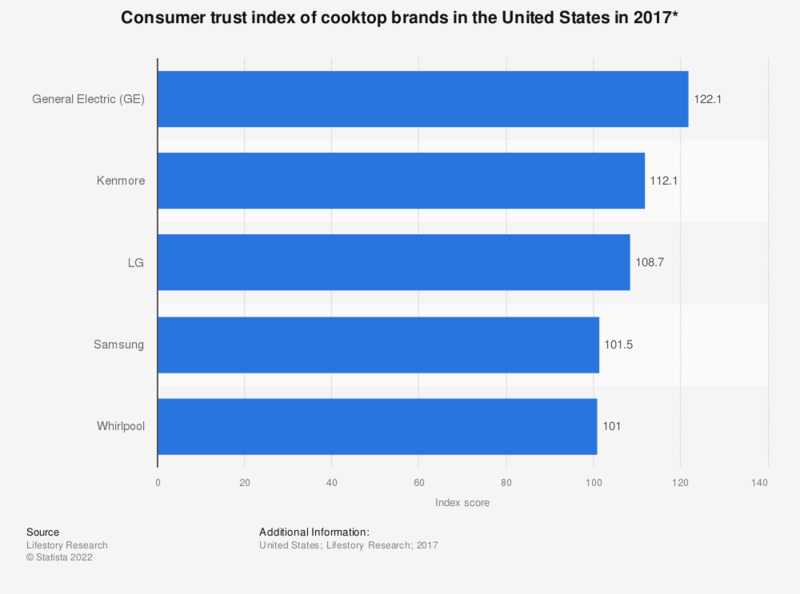 This statistic shows an index ranking of the most trusted cooktop brands in the United States in 2017. General Electric (GE) ranked first with an index score of 122.1. * Information on sampling and methodology can be found on the source's methodology page.